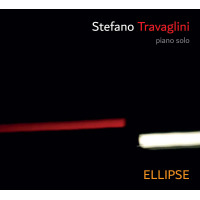 Described as “a wondrously eclectic talent” in Jazz Journal, Stefano Travaglini is a pianist and composer mostly interested in the fascinating world of improvisation. He has released two albums: The Hungarian Songbook (2013) in which he freely improvises over ancient magyar melodies, and Ellipse, solo piano (2017), recorded in Oslo at Rainbow Studio, the result of an hour-long free recording session, considered “a masterwork of improvised music” and “one of the best improvised works of 2017” (All About Jazz). Travaglini was mentioned as “newcomer musician” in the 10th annual International Critics poll by Jazz Journalist Association. 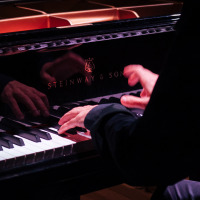 He also graduated in Oboe, Composition and Conducting, having started playing piano at a very young age, and has performed in numerous countries around the world. As a leader, Travaglini has toured with is own Quintet and DayDream Trio almost always playing original music. 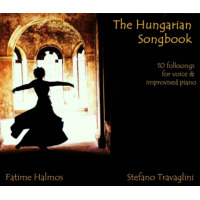 The Hungarian Songbook duo (with magyar singer F. Halmos) has performed widely in Europe and America. In 2013 the duo was also one of the 23 finalists at the TEREM CROSSOVER International Competition in St. Petersburg. In 2018 Travaglini was a finalist at the renewed Scrivere in Jazz International Competition for Composers and Arrangers (Sassari, Italy) presenting a work called Miserere for big band inspired by traditional music from Sardinia. All About Jazz musician pages are maintained by musicians, publicists and trusted members like you. Interested? Tell us why you would like to improve the Stefano Travaglini musician page.